The one, two and three bedroom apartments and townhomes at Meadowlawn range from 625 to 1,300 square feet. 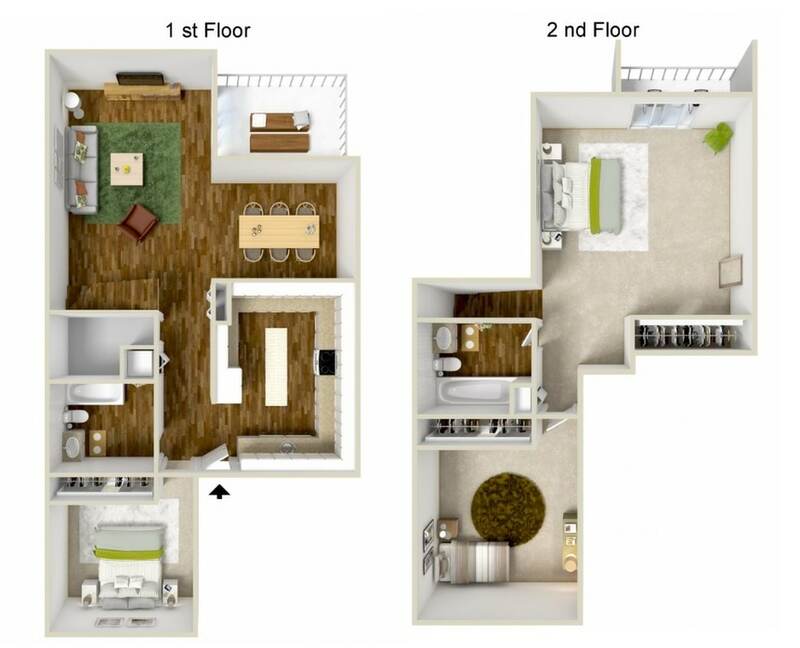 Available in thirty-nine gorgeous floor plans, these homes in Salem, Oregon, cater to seniors age 55 and over who seek comfort, convenience and beautiful surroundings. Most homes in the community offer picturesque views of the nine-hole golf course from the large windows and fenced patios or balconies. Inside, the mix of plush carpeting and wood-style vinyl flooring creates an inviting feel. The king-sized bedrooms and closets maximize your living space and support those with limited mobility. Every home additionally features air conditioning and a fully equipped kitchen with a breakfast bar. Most homes even offer a gas or wood-burning fireplace. Along with the standard features, select homes may include fine upgrades. 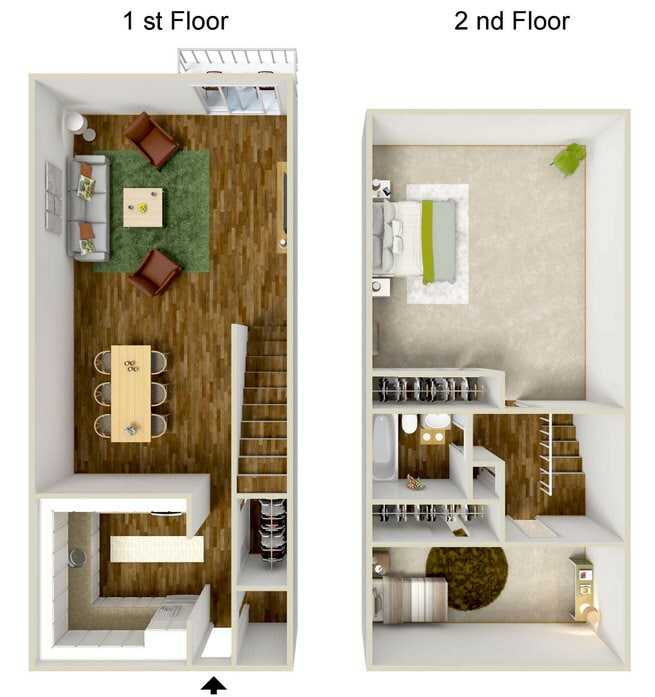 Choose a model with a loft layout or walk-in closet to help accommodate your storage needs. 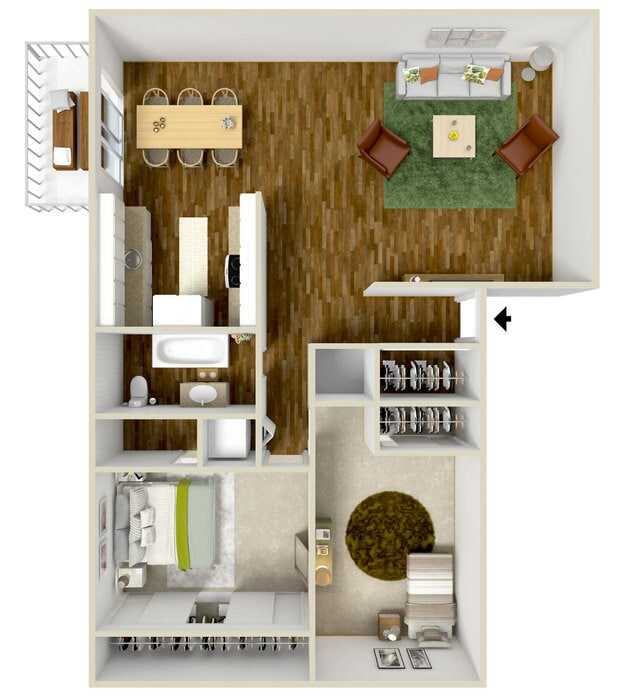 While every home is close to one of the community’s thirteen laundry facilities, select models may feature installed laundry appliances or connections for your personal washer and dryer set. Learn more about the layouts and features currently available when you contact the friendly team at Meadowlawn Apartments today.